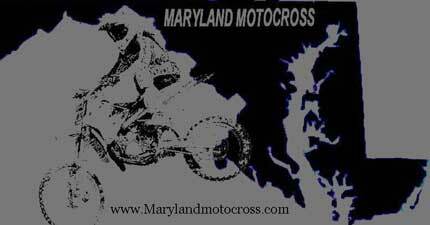 MaryalndMotocross.com: Hello is Mark Davis available? JD: May I ask who is this? JD: This is Jessye, his daughter. Russ Don’t Cuss: She sounds cute. Bro, tell her she needs a thug like me in her life. MMX.com: Who let you in Russ? Vance: Yeah man, how’d you get in here? RDC: I crawled through yo office window all kinds of SWAT team like…. MMX.com: Man you’d better get outta here before we call Kevin. JD: Hello? May I help you? MMX.com: Ohhh, sorry we want Mark Jr. sorry. MMX.com: Oh, okay, how are you doing? JD: Good, how are you? MMX.com: Good Thank You. Is Mark still in good shape and planning on coming out to Loretta’s? MMX.com: What would be a good time to call him back I wanted to talk to him about some stuff. MMX.com: Mark how are you doing? MMX.com: My name is Bruce Campbell and I work for Loretta’s and I wanted to talk to you about something. We randomly chose your name from some of the riders that will be attending Loretta’s this year. We were wondering if you’d be interested in wearing some camera equipment while you race. MMX.com: Okay, just need some information. First off how much do you weigh? MMX.com: 118 pounds, Wow, okay. Your bike, how much do you think it weighs? MD: Uhhh, not sure, probably 150 pounds I guess. MMX.com: Okay, when you go off a jump, like say…a 30-footer, what gear do you usually have it in? MMX.com: Umm, are you a hairy person, cause we’ll be taping it too you with like 6…tee feet or so of tape. MD: What did you just say? MD: (Pause) Uh… yeah that’s fine, I don’t have that much hair. MMX.com: Okay, lastly, the equipment you’ll be using is cutting edge, we’ll be able to use gyroscoping multi-angle camera technology, but it’s a lot of equipment. Do you wear anything beyond a chest protector, helmet and the standard stuff? MD: No, usually stick with the basic things. MMX.com: Some of it we can put on you bike, but still about 70 pounds will be on your body. MMX.com: Well, we can train you up to it. You could wear a back pack filled with engine parts and stuff like that. MMX.com: What about riding with like someone high on your back? MD: I… I don’t know…9 pounds did you say. MMX.com: (Laugh) I wish. 95. MMX.com: So you ‘ll try it then? MMX.com: No, I’m kidding man it’s Ese’ from MarylandMotocross.com? MMX.com: I want to start off by saying congratulations on making it to Loretta’s and see if you still had time for an interview? MMX.com: Sorry about the camera prank, it was Mike’s idea, you can yell at him for that. MD: (Laugh) I didn’t even think about that. MD: (Laughing) That was insane. When you said “95 pounds” I was thinking I really don’t know about all that. MMX.com: Last time I saw you, you were fresh out of your cast and now you’re going to Loretta’s. Do you fell pretty excited; pretty pumped? MD: Yup. Yup, I do. MMX.com: For those who aspire to go to Loretta’s what kind of advice or training methods would you recommend to them? MD: Train as hard as you can and as often as you can. MMX.com: So you didn’t use any specific methods? Anything you improved on this year? Things you did to get here? MD: I just trained hard and kept my head up high. Did everything and practiced everything. Just got out there and rode A-LOT. MMX.com: What’s your favorite track to go to? MMX.com: I hear a lot of good stuff about that track. We know your’e number 566; is there any significance behind that? MD: Actually I changed my number to 56. 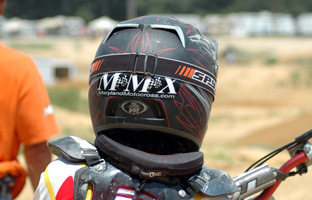 MMX.com: Good deal, so I assume you’ll be sporting that number from now on? MD: As long as it’s possible. MMX.com: What kind of bike do you ride? MMX.com: That’s right you ride a couple of them. Anyone you like the most? MMX.com: Lemme guess you like the power? MMX.com: So, what kind of gear do you use when you ride? MMX.com: Do you wear their street clothes apparel when you’re off-bike? MD: Yeah, I like all their stuff. MMX.com: If someone new to the sport asked you for advice, what would you say to them? MD: Don’t give up, no matter what. Stick with it. MMX.com: Who would you say some of your closest friends in motocross are? MD: Zach Herrington, Mark Garvey, Chad <”The Ricky Martin of Motocross”> Wadges, (Laugh) everybody I guess, can’t really name them all…too many. MMX.com: Yeah I notice that you roll around with different peeps. Okay, so what is your least favorite track to go to? MD: Don’t really have a “least favorite”. If it’s hard for me, I just look at it as a challenge. MMX.com: What would you say then is your least favorite memory? MD: Definitely the time I broke my leg and I had to get pins put in it. MMX.com: Ouch how long did that put you out? MD: A couple months easy. MMX.com: Last time when I saw you with a broken arm that was “no sweat” in comparison? MD: Yeah. That was nothing. MMX.com: Flipping the tables, what would you say is your most fond memory in motocross? MMX.com: Nice…we’ll have to talk to you again and see how it turned out. MMX.com: Who’s your favorite Pro rider? MD: That would be Ricky Carmichael. MMX.com: Did you hear he’s in that movie next month? MMX.com: Go to supercrossmovie.com and check it out. MMX.com: Side note on your Mom Elsie, the staff here wants to know if she’s still rocking “The Shocks”? MMX.com: Can riders still find her doing a little scorekeeping at the track? MD: Yeah, from time to time. MMX.com: So I guess your family gives you a lot of support, especially your sister? MD: Yeah they all give me a lot. They’re great. 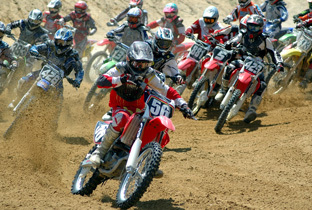 MMX.com: Do you have any hobbies besides motocross? MD: No, I do a little skateboarding. 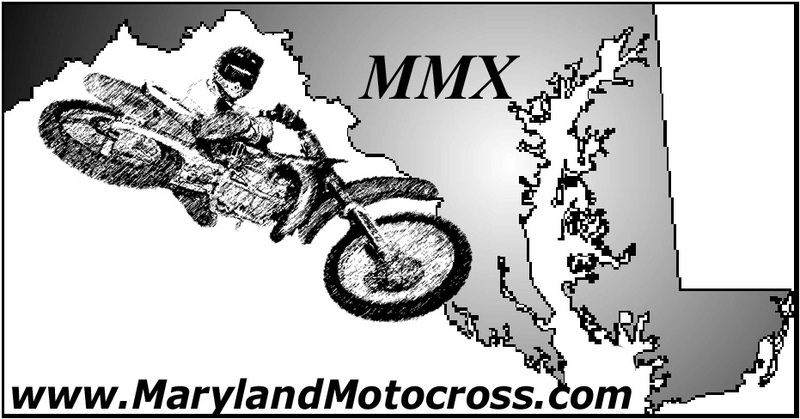 MMX.com: Any track you haven’t been to that you’d like to try some time? MD: None that I can think of. MMX.com: Any sport you’d hesitate to try? MMX.com: Any other sport you’d like to try? MD: I’d like to get more into skateboarding. MMX.com: Any riders at Loretta’s you’ll be competing with that you consider good friends? MMX.com: So competition on the track friends off the track? MD: Yeah, its just a competition. Friendship is more important than that. MMX.com: Got any signature tricks that you like pulling? 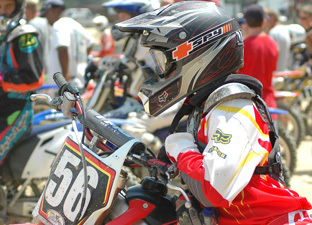 MMX.com: Aside from the kids, any adults you look forward to seeing at the track? MMX.com: That’s guy’s a character isn’t he?